The Pro Merito Decoration, post-nominal letters PMD, is a military decoration for merit which was instituted by the Republic of South Africa on 1 July 1975. It was awarded to other ranks of the South African Defence Force for outstanding service of the highest order and utmost devotion to duty. The Pro Merito Decoration, post-nominal letters PMD, was instituted by the State President on 1 July 1975. The decoration could be awarded to other ranks of the South African Defence Force for outstanding service of the highest order and utmost devotion to duty. A Bar was instituted in 1993, to be awarded in recognition of further similar displays of outstanding service of the highest order and utmost devotion to duty. The equivalent award for officers was the Southern Cross Decoration (SD). Although not prescribed, the practice was generally that the recipient must already have received the Pro Merito Medal (PMM). The position of the Pro Merito Decoration in the official order of precedence was revised three times after 1975 to accommodate the inclusion or institution of new decorations and medals, first upon the integration into the South African National Defence Force on 27 April 1994, again in April 1996, when decorations and medals were belatedly instituted for the two former non-statutory forces, the Azanian People's Liberation Army and Umkhonto we Sizwe, and finally upon the institution of a new set of awards on 27 April 2003. Preceded by the Southern Cross Decoration (SD). Succeeded by the Van Riebeeck Medal (VRM). Succeeded by the Police Star for Distinguished Service (SOO). 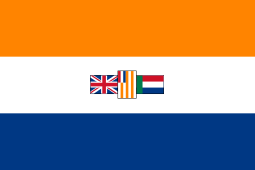 Preceded by the Southern Cross Decoration (SD) of the Republic of South Africa. Succeeded by the Defence Force Merit Decoration of the Republic of Bophuthatswana. Succeeded by the Police Star for Distinguished Service (SOO) of the Republic of South Africa. Succeeded by the Conspicuous Leadership Star (CLS) of Umkhonto we Sizwe. The position of the Pro Merito Decoration in the order of precedence remained unchanged, as it was in April 1996, when a new series of military orders, decorations and medals was instituted on 27 April 2003. The Pro Merito Decoration is a silver-gilt Maltese cross, which fits in a circle 45 millimetres in diameter. The arms of the cross are in white enamel, with a disa uniflora, in red enamel, on a framed roundel in dark blue enamel in the centre. A protea attaches the decoration to the ribbon suspender. The reverse has the pre-1994 South African Coat of Arms in the centre, with the silver hallmark below it and the decoration number impressed on the bottom arm of the cross. The Bar is silver-gilt and has an emblem, depicting a Protea, embossed in the centre. The same bar was used to indicate multiple awards of the Pro Virtute Decoration, Southern Cross Decoration, Pro Merito Decoration and Ad Astra Decoration. The ribbon is 32 millimetres wide and dark blue, with a 4 millimetres wide white band in the centre. Conferment of the decoration was discontinued in respect of services performed on or after 27 April 2003, when the Southern Cross Decoration and the Pro Merito Decoration were both replaced by the new iPhrothiya yeGolide. 1 2 Alexander, E.G.M., Barron, G.K.B. and Bateman, A.J. (1986). South African Orders, Decorations and Medals. Human and Rousseau. 1 2 Monick, S, (1988). South African Military Awards 1912-1987. South African National Museum of Military History. 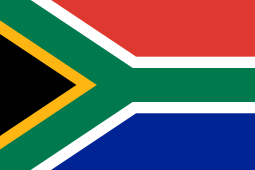 1 2 3 4 5 6 Republic of South Africa Government Gazette Vol. 477, no. 27376, Pretoria, 11 March 2005. OCLC 72827981 In the document, the printed identification number is 9771682584003. ↑ Mussell, John W.; Editorial Team of Medal News (2004). Mackay, James, ed. The Medal Yearbook 2004. Devon, UK: Token Publishing Ltd. p. 380. ISBN 978-1-870192-62-0.